Hi! 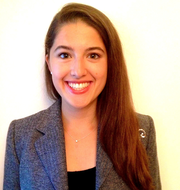 My name is Danielle and I'm a recent alumna of Harvard University and current 4th year Harvard Medical Student. I love music, visual art, figure skating and cooking/baking, among many other things. I've had experience babysitting kids of all ages (infants to teenagers), and I'm really looking forward to watching yours! I'm a twin, too, so I'm also happy to babysit multiples.